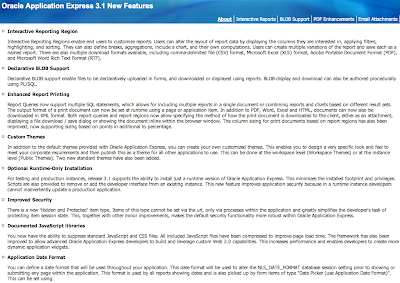 Today there was a little downtime on apex.oracle.com because it got upgraded to a pre-production release of Oracle Application Express 3.1. If you didn't subscribe to the evaluation version or read anything about it, here's a list of the new features in APEX 3.1 The list is rough, there're some more changes and undocumented ones. If you want to see some new features in action, there's a nice showcase application. The well known Sample Application got also an update and uses some of the new features. For ex. the Interactive reports and the Blob support on page 3 and 6 I find really nice. I tried my AE Survey application also in APEX 3.1 and it seems to work now too. Oracle Fusion or Adobe Flex or ... ? I wanted to blog about this already a long time. Especially when I was at Oracle Open World last year where they showed the new Oracle Fusion Applications, more particular, the Sales Forecasting app (see my blog post here). I'm confused, I've always believed the future will have four big development areas: .NET, Java, Flex and APEX (not ordered in a particular way). Oracle can work with all four of them, some better than others. Oracle is writing their new Application Suites in "Oracle Fusion", I thought that was Java / ADF, but at OOW 2007 the front-end of the Sales Forecasting application looked like Adobe Flex. As you all know, I'm in big favor for Oracle Application Express (APEX) and when I'm talking or giving presentation about it, I often mention Oracle Metalink. "The support system of Oracle is written entirely in APEX", I often say. When I was in Metalink today I saw there's also a part that's not APEX! The Software Configuration Manager brings you to another url and application. Although the page is a jsp page, I believe the front-end is written in Flex. In the beginning of 2007 I've been looking into Adobe Flex too. 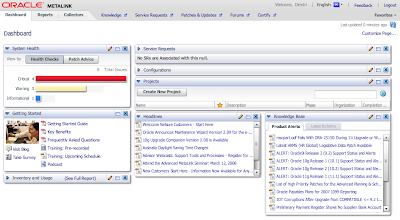 I got it working with Oracle (see blog post) and even tested how to integrate it with APEX a long time ago here. Nevertheless I'm confused about the strategy of Oracle, particular about their Fusion Applications. Will the front-end be completely Flex? Or will it be partially ADF JSF? Or will they do a part in APEX? ;-) And what will be the future way to go in development? I believe we'll have a mixture of all development environments. People use whatever they want, we just need to be sure it integrates nicely. I"ll keep focusing on APEX as I really believe in the product and I enjoy working with it. But what do you think is the future? What direction is Oracle going to follow for their applications? Do you have some comments? 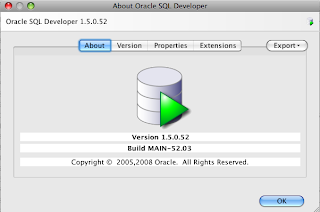 I'm currently working with SQL Developer 1.5 (beta) on my MacBook Pro and so far it's going really well. I've the impression it's faster as version 1.2 which I like. Also some annoying bugs like the Editor becoming grey I didn't see yet in this beta version. The Schema Diff and Copy Wizard. I did a diff from my tables and it worked very nicely. It showed me the create statements when the table didn't exist or the alter table statement when it did exist. There should be a Flashback tab for tables, but I didn't find that yet. A whole list of things you should know before you start, the current issues and a list of the new features you find here. As it's still beta don't forget to give the developers some feedback... So my first impressions of this new release are good. I got a mail of Mike Riley, Vice President of ODTUG, who mentioned their first podcast. I listened with great amusement. It was a nice newsflash, which started with some sound I didn't expect, which came back between the talks. Nicely done Marc. Kathleen was "the guide" and talked with an unbelievable enthusiasm. She talked about ODTUG and presented the other speakers. I think I heard John Jeunette, President of ODTUG, who presented the board. Then Dale Lowery talked about the coming Kaleidoscope 2008 Oracle conference. I couldn't believe my ears when I heard my name! I feel a bit embarrassed to be named next to people like Tom Kyte, Steven Feuerstein, Paul Dorsey and some other big names in Oracle space. For APEX they also mentioned Scott Spendoline, Patrick Wolf and John Scott. APEX got a lot of attention during the podcast, which I think is great. Mike Riley also talked about the SIGs (one of them is APEX). I believe it's a nice first podcost... looking forward to the next one. The last weeks I didn't have that much time to blog. 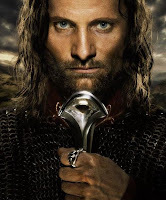 With this choice I follow my heart as most people reading this blog will know. Where are all these APEX blogs? The goal of the new site is to find all APEX related blog posts at one place. But that's not all, you can also rate the articles and if you don't have a blog yourself, but want to share your findings, idea's etc. the site will allow you to do that. You can write your own blog posts. 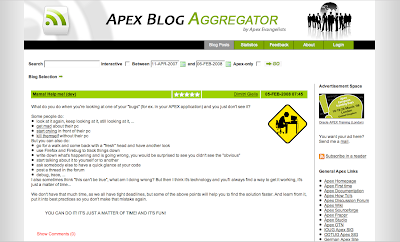 You can also add your feedback or start discussions and view statistics of the APEX blogger community. It's a first beta release, so I'm open to all your comments, feedback and ways to make it even better. What do you do when you're looking at one of your "bugs" (for ex. 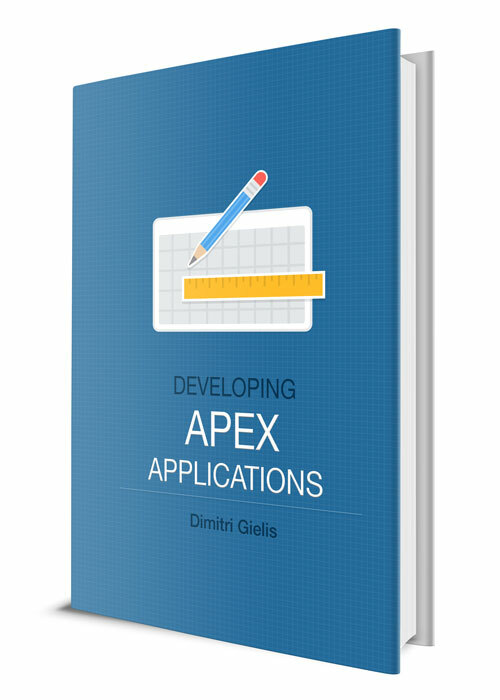 in your APEX application) and you just don't see it? write down what's happening and is going wrong, you would be surprised to see you didn't see the "obvious"
We don't have that much time, as we all have tight deadlines, but some of the above points will help you to find the solution faster. And learn from it, put it into best practices so you don't make that mistake again. YOU CAN DO IT! IT'S JUST A MATTER OF TIME! AND IT'S FUN! In my application I want to do an interactive search whenever the checkbox is checked. So, how do you know if the checkbox is checked? Let's try with an example. Create a new "Check Box" item and give it a name, for ex. P26_CHECKBOX.